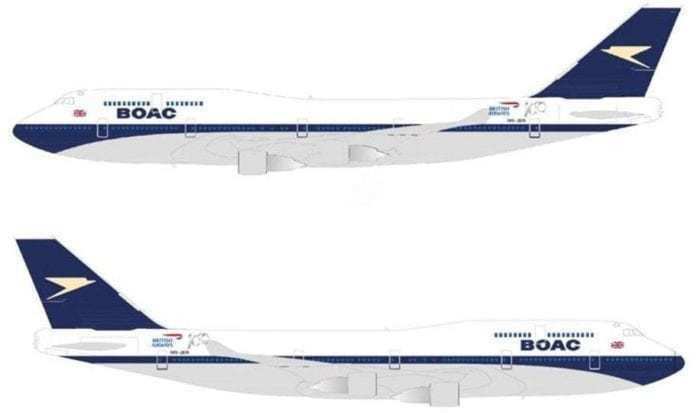 British Airways has revealed they will be painting one of their Boeing 747’s in a retro British Overseas Airways Corporation (BOAC) livery. This will be to celebrate the airline existing for 100 years and pay homage to its origins. British Airways got its first start way back in August 25, 1919, when it launched as Aircraft Transport and Travel Limited (A.T.&T.) operating a single plane between London and Paris. After many mergers, the airline rebranded as Imperial Airways and began to operate routes throughout the British empire. Once world war two concluded, it focused on the colonies and America and thus renamed itself as the famous BOAC. It was only in 1974 it merged with the British European Airways (who operated domestic services and intra-Europe routes) to form British Airways we know today. The livery seen on most British Airways aircraft today, Chatham Dockyards design, actually came from the special livery used on the Concord in 1997. It is inspired by the special union jack flag flown by Lord Nelson during the Napoleonic wars. BA have historically been the largest transatlantic carrier. What does the retro livery look like? The new jet with the new livery will be flying by February 19th from London Heathrow, once it is finished being painted in Dublin. It will continue to fly with the livery for a few years until the 747 is decommissioned along with the rest of its aging fleet in 2023. One last rumor that has surfaced is that this might not be the only British Airways plane to get special livery. Later this year it is possible that other aircraft might get the special treatment to the lead up to British Airways’ 100th birthday. 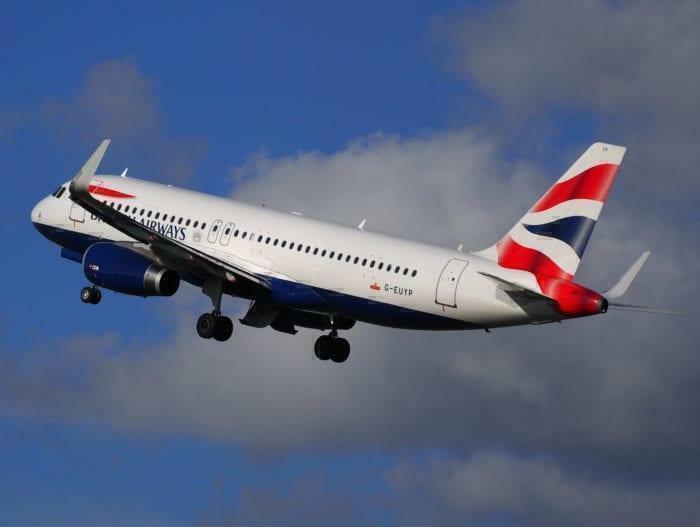 Plus British Airways is planning a special sale of £100 fares, from January 21st to the 24th. There will also be some new uniforms designed by Oswald Boateng in time for the birthday. What do you think of the livery design? My first overseas flight was on a BOAC SuperVC10 in 1969. I was 8 and was travelling with my Dad to meet my Grandma, Aunts, Uncles and Cousins in Limavady Ireland. This livery brings back wonderful memories of an amazing trip that opened a little boys eyes to the magic and adventure of seemingly effortless global travel. I think its very fitting to have the 747’s repainted in BOAC livery. It came into service under this paint scheme, and will go out sporting the same livery. I was a young lad when the BOAC livery was current, it was very attractive. Back then, there was the 747-100 and 707’s sporting the BOAC livery at our airport. Cant wait to spot a retro bird ! OK first of all Concorde’ is spelled with an ‘e’. Second the flag is the Union Flag and not the Union Jack unless flown on the stern of a Royal navy Battleship. And third the livery evolved from the BA disastrous world images, the Concorde livery was an evolution of Chatham Dockyard.